Go ahead, plan your trip - circumnavigate Prince Edward Island, or cruise the St. Lawrence to the sea. The Encounter was created for long, solo expeditions with ample gear. It tracks straight and carries weight easily over rough water. Roomy enough for large people and buoyant enough for heavy loads, the Encounter is a specially engineered craft. But it's engineered for comfort, too - with the standard sliding bucket seat and foot braces, you can easily adjust the canoe to fit you and your load. Flex-core Color Options - We offer 12 colors of gel-coat finish for the exterior of Flex-core hulls. The interior of the hull shows the fabric's natural color. Actual colors may vary due to display differences. May not be the Encounter. Shown with optional black aluminum trim. Ultra-light Color Options - Ultra-light hulls have a "skincoat", showing the fabric's color on the interior and exterior. A colored finish is a no-cost option, but adds 5-8 lbs. Wenonah's Tuf-weave® material is an interwoven fabric made of 50% polyester and 50% fiberglass that out performs either material alone. The Tuf-weave® layup results in our most durable composite canoes. Tuf-weave® canoes offer improved impact resistance and are a great compromise between light weight, performance, and price. 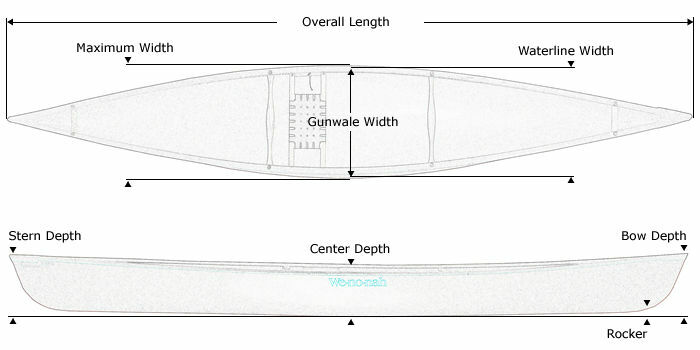 Tuf-weave® Flex-core canoe shown with Standard Options, may not be the Encounter. Flex-core construction creates a more rugged canoe than our Ultra-light core, and is meant for general paddling on all but extreme waters. In our Flex-core constructions a structural-foam core is laminated into the hull, orienting the composite fibers carefully to distribute loads. We add an extra fabric layer to the whole hull. This adds a bit of weight but makes for a stronger, more rigid canoe. Side ribs are not needed because this layup distributes more material throughout the hull. The result is a tough canoe that is still fairly light weight. Using Kevlar® in our Flex-core layup adds a little weight, but saves some money. The extra layers of fabric and gel-coat finish makes these boats slightly more resistant to damage than our Ultra-Light canoes as well. Kevlar® Flex-core canoe shown with Standard Options, may not be the Encounter. Ultra-light hulls are stiff and incredibly light. They are ideal for speed and distance paddling and for all people or conditions that demand the lightest gear. In our Ultra-light construction a structural-foam core and ribs are laminated into the hull and sides. We also add extra fabric layers to strengthen specific targeted areas. Aluminum plates are strategically laminated into the hull. Seats, footbraces, and all hardware is then riveted into these plates. This gives a very secure connection and eliminates rivet heads on the exterior. Kevlar®, the fiber used for aerospace, body armor and bulletproof vests, is amazingly light and strong. We've used it for more than 30 years to construct extremely light and tough canoes. 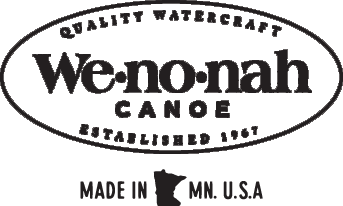 Wenonah Canoe is the worlds largest maker of canoes using Kevlar®. Kevlar® Ultra-light canoe shown with Standard Options, may not be the Encounter.